Astronomers in Australia have confirmed that a series of mysterious radio bursts – whose precise origin is unknown – started in outer space and were not manmade. 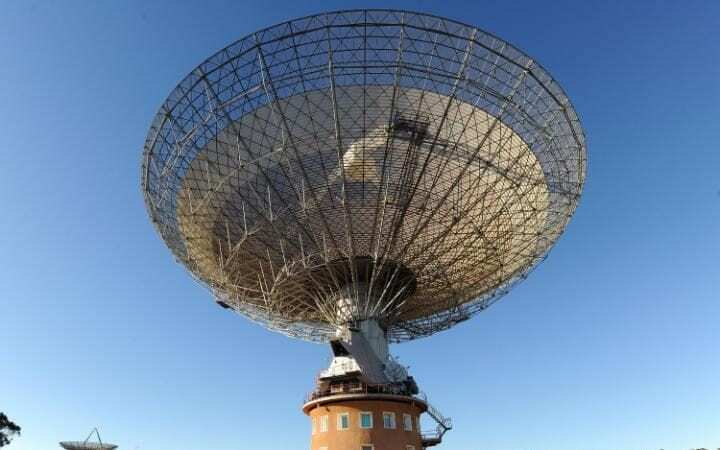 The so-called fast radio bursts – intense flashes of radio light that last for just milliseconds - were first detected at Australia’s Parkes telescope in 2007 and prompted speculation that they may have been caused by aliens. But there has also long been speculation that the signals could be the result of interference with other signals on earth. This theory appeared to gain traction when it emerged two years ago that a series of similar signals detected at Parkes in 1998 were actually caused by a microwave oven in the facility’s kitchen. To try to trace the origins of the fast radio bursts, astronomers spent two years overhauling the Molonglo radio telescope, near Canberra, the nation’s capital. The telescope was suited to detecting these bursts because it has a large collecting area – about 194,000 square feet and a broad field of view. Unlike conventional single dish telescopes, the telescope can simultaneously detect multiple beams on the sky, a feature which allowed the astronomers to distinguish between local interference and cosmic signals. "Because of the telescope's characteristics, we're a hundred per cent sure the bursts came from space," said researcher Manish Caleb, who works at Swinburne University. Astronomers have detected about twenty fast radio bursts at several telescopes around the world. The next challenge is to find more bursts and identify precisely where they originated. This could help to try to unravel the bursts’ most baffling feature: their source. There has been speculation that they could be the exhaust from a massive alien structure such as a space travel device. Astronomers plan to further adjust the settings at Molonglo to enhance their ability to pinpoint the origins of the bursts. “Only one burst has ever been localised well enough to link it to a specific galaxy," Ms Caleb said. "We expect Molonglo will do this for many more bursts." A new burst detected at Molonglo, called FRB 160410, is believed to be the closest yet detected. "We want to watch this one in particular to see if it repeats," said Professor Matthew Bailes, from Swinburne University. "If it did, that would give us a better chance to pin down its location and link it to a galaxy. Understanding where the bursts come from is the key to understanding what makes them."